Here we will discuss interesting facts about the Great Rift Valley. The Great Rift Valley is a name given by British explorer John Walter Gregory to the continuous geographic trench. In this article we will limit the discussion into the Great Valley in Kenya. It is part of an intra-continental ridge system that runs through Kenya from north to south. To find out more about the Great Rift Valley, read the following facts below. The Great Rift Valley was formed on the “Kenyan Dome” a geographical upwelling created by the interactions of three major tectonics. 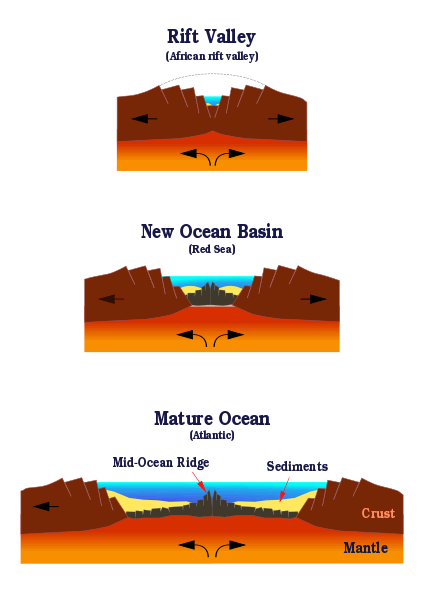 The three major tectonics are; the Arabian, Nubian and Somalian Plates. It is originally described to extend from Lebanon in the north to Mozambique in the south, and constitutes one of two distinct physiographic provinces of the East African Mountains. In the Great Rift Valley, the climate is mild, with temperatures usually below 28 °C. Rainy season happens during the March–June and October–November periods. The fossils preserved in Laval flows from the period 14 to 4 million years ago can be found in the Tugen Hills to the west of Lake Baringo. It includes the relics of many hominids, ancestors of humans. The interesting name came from a narrow break in the cliffs, once a tributary of a prehistoric lake that fed early humans in the Rift Valley. This park is located in the south of Lake Naivasha in Kenya. Cherangani Hills are gently rolling slopes in the western highlands of Kenya, and are one of Kenya’s five main forests. Together with a chain of volcanoes, it is a part of the Great Valley. Within the continent of Africa, 9.50% of the lakes can be found in Kenya. There are eight lakes located in the Kenyan Rift Valley: Lake Turkana, Lake Baringo, Lake Logipi, Lake Nakuru, Lake Bogoria, Lake Elmenteita, Lake Magadi and Lake Naivasha. The Kenya Lake system is a key location on the West Asian-East African Flyway. It is a route followed by huge numbers of birds in their annual migration from breeding grounds in the north to wintering places in Africa. Those are the following facts about the Great Rift Valley. Hopefully you will like this following information and continue to read on some facts.